Eight years ago, the wise leadership of Qatar decreed the second Tuesday of February as an annual celebration of sports and active lifestyle, with the hope of instilling sport and exercise as a part of residents’ daily routine. Since then, the month of February itself has become a month of sports victory, which, this year, was launched with the ground-breaking success of the Qatar national football team at the 2019 AFC Asian Cup. 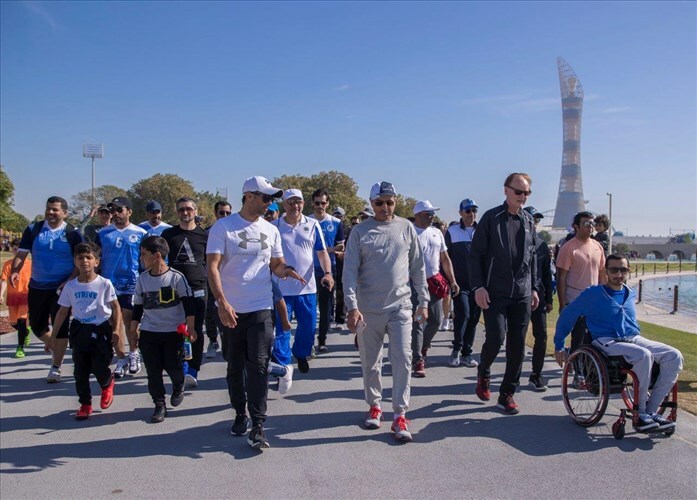 To celebrate this victory and the month of February, AZF announced more than 27 sporting activities that will take place across several Aspire Zone and Aspire Dome sites in a unique collaboration between its Member Organisations. Qatar’s Football Family - the Supreme Committee for Delivery & Legacy (SC), Qatar Football Association (QFA) and Qatar Stars League (QSL) – will celebrate the country’s vibrant sports culture in Aspire; meanwhile, AZF will turn its famous blue Dome into a beehive of activity with special football performance programmes delivered by Aspire Academy experts, the very same team who trains the likes of Almoez Ali and Akram Afif. The diverse programme organised by AZF also provides the perfect opportunity for individuals, families and institutions to partake in a day full of physical activity and exercise. Aspire Academy will present four new activities under the supervision of Education and Student Affairs department, focusing on team building and collaboration skills. The four games include: Crash Ball/Bubble Soccer, Foot Badminton, Human Baby Foot and Mega Boxes. 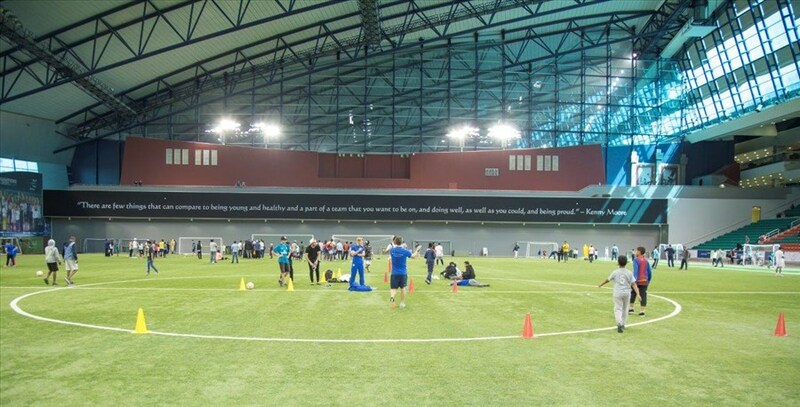 These activities are part of Aspire Academy’s ongoing edutainment programme to equip its future stars with life skills. The famous Wall Climbing is back for NSD 2019 celebrations at Aspire under the supervision of sports experts. This exciting activity that requires both extreme focus and high fitness levels of its participants will be held near outdoor football pitch 1, behind Aziziyah Boutique Hotel. Aspire Dome’s Multipurpose Hall 2 will open its doors to female participants to enjoy a gymnastic circuit, basketball, badminton and aerobics classes for those who prefer more privacy. For the first time, AZF will organise classes of popular Russian martial art and combat sport “Sambo”, which means “self-defence without weapons”. Classes will take place on pitch 10. First developed in the 1920s by the Soviet Army to improve hand-to-hand combat abilities, the sport represents a blend of the most effective techniques taken from other martial arts practices like Catch wrestling, Judo, Jujutsu, and native Turkic wrestling styles. AZF will also offer “Kendo” demonstration sessions on pitch 10, one of the oldest Japanese martial arts practices in the world “Kendo”. 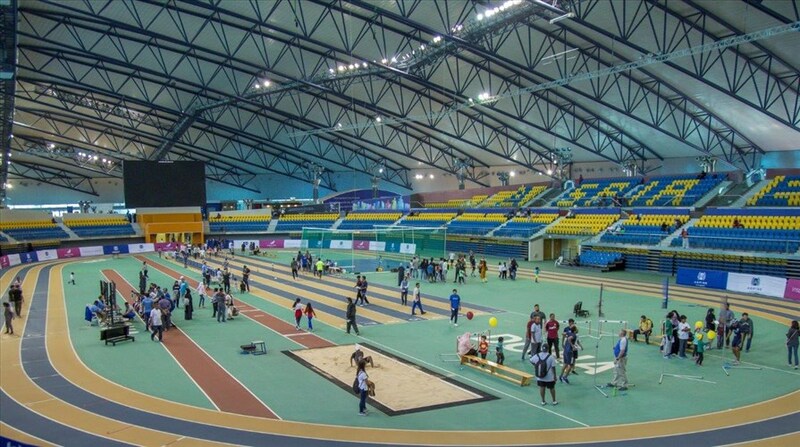 The NSD activities at Aspire Zone are sponsored by: Qatar Gas and Ideal Solutions (Official Sponsor), QAFAC, KidZania, Aseel, Ali Bin Ali Holding, and Baladna (Event Partners).